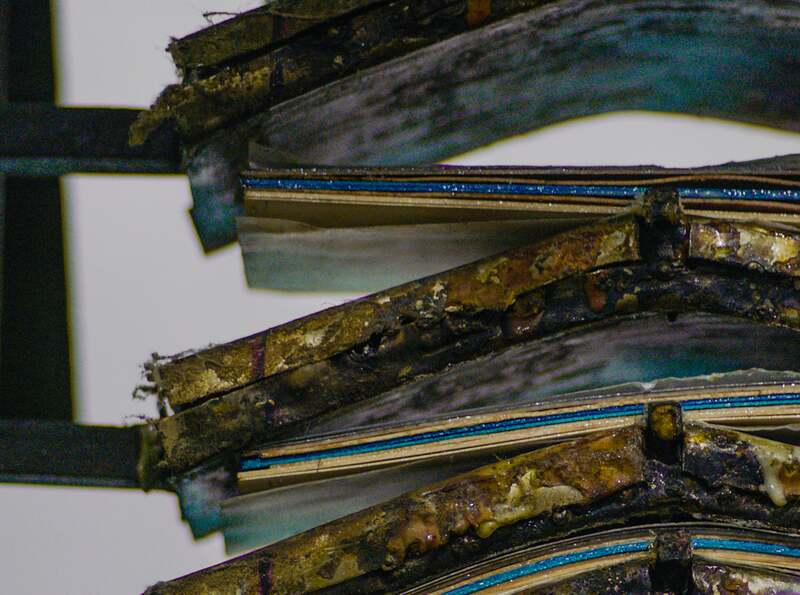 Resin Glue is far superior to industry-standard water-based glue, epoxy-resin is used to press all of our boards which make them lighter, stronger, and longer lasting. 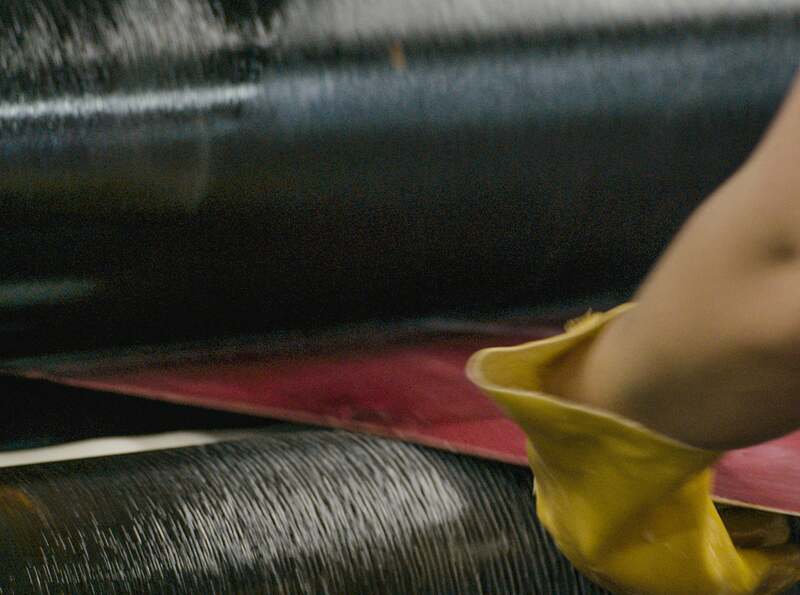 Resin's shrink rate reduces the tendency for delimitation and warping, and its higher strength allows us to use less glue. Single Deck Pressing with its own top and bottom mould plate, every deck gets pressed individually to ensure the consistency of its concave. 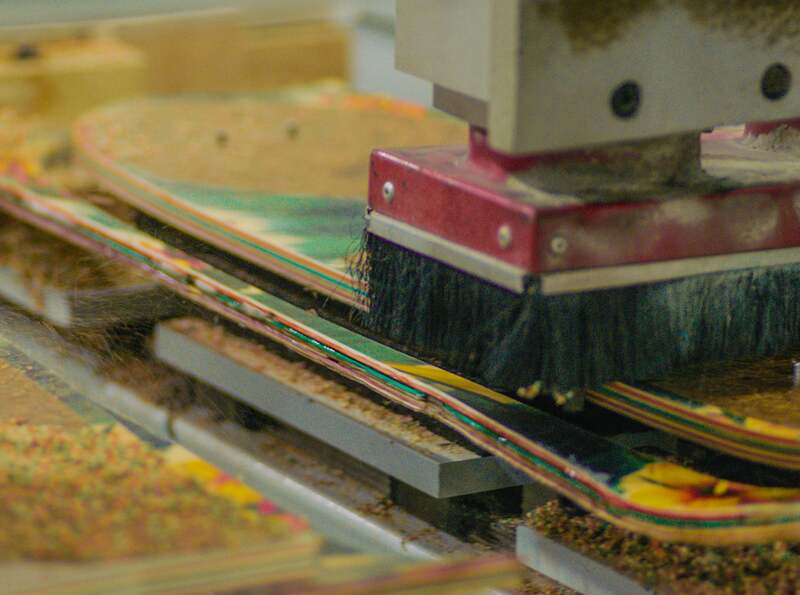 This is a process Rodney Mullen created to alleviate the inconsistencies of pressing multiple decks together, which produces varying concave from one board to the next. We use premium aluminum and magnesium alloys to produce the best quality skateboard truck on the market. 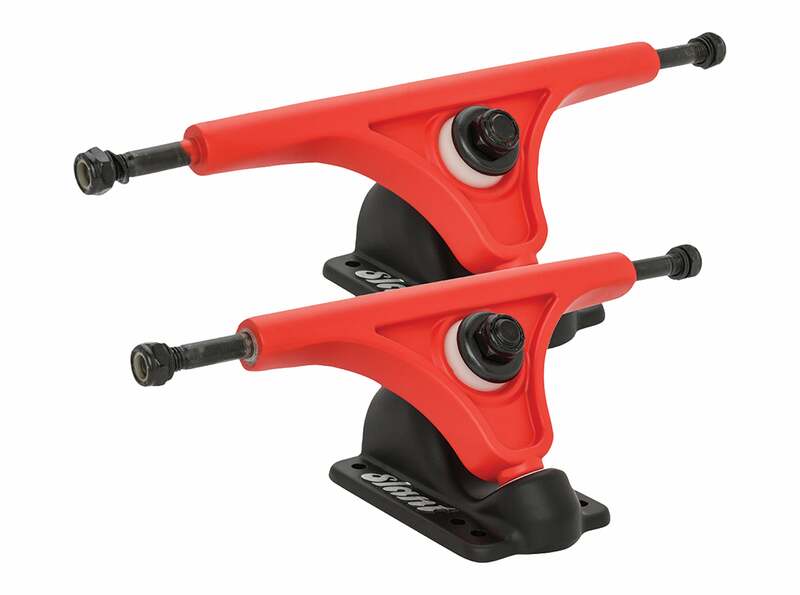 All Tensor trucks feature Grade-8 kingpins and high-rebound urethane bushings. Tensor Magnesium Trucks are 20% lighter than aluminum with the same smooth grind. All Slant Reverse Kingpin trucks feature reversible 50/54 degree hangers that come standard at 50 degrees for stability at high speeds. Flip the hanger over to 54 degrees for even tighter turns. 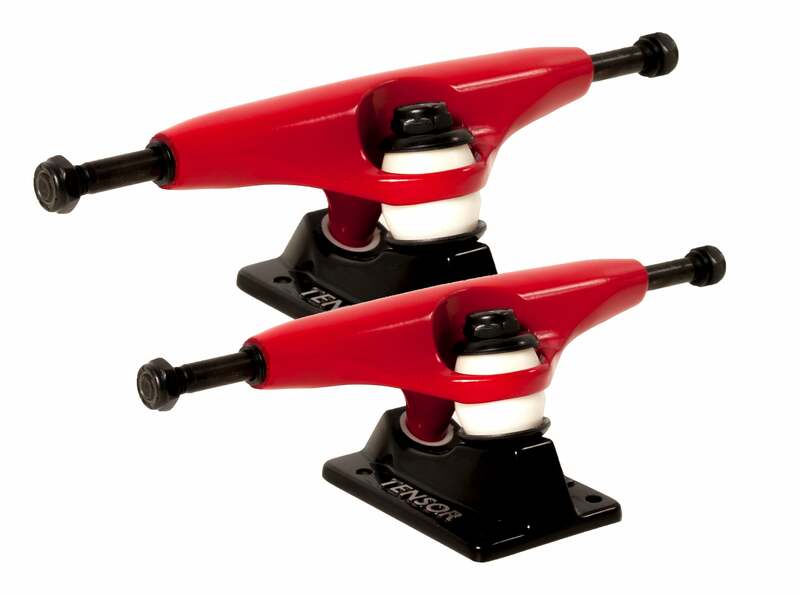 All trucks feature Grade-8 kingpins and high-rebound urethane bushings. Slant Magnesium reverse-kingpin trucks are 20% lighter than aluminum with the same smooth grind. 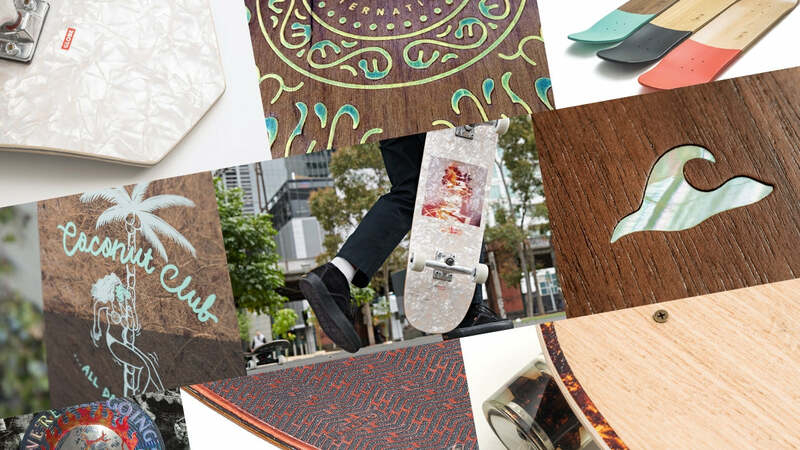 Globe is focused on bringing new and original aesthetics, makeups, and features to skateboards. Owning our own factory and investing heavily in R&D enables us to constantly push the boundaries of what sort of effects are possible. Globe skate decks are guaranteed against manufacturing faults and regular usage breakage for 30 days from proof of purchase. Globe cruiser and longboards decks are guaranteed against manufacturing faults and regular usage breakage for 90 days from proof of purchase. Globe shall not be liable for any injury, death, loss or damage, direct or consequential arising out of the use or inability to use this product. Before use, the user must determine the relevant product for their needs and assume all risk and liability whatsoever in connection therewith.